One of the values of attending MD&M West is the opportunity to visit with dozens of companies and gain exposure to many new capabilities within just a few days. As the nation’s largest medical device event with over 2,000 exhibitors, getting the most out of the show requires a little planning. One of the exhibits you should plan on visiting is Molex in booth 1746. Exhibiting at MD&M West again this year, Molex will be presenting a number of new and exciting capabilities including MediSpec™ silicone surgical cable assemblies designed and manufactured by Affinity Medical Technologies, which became part of Molex in late 2012. Medical cable assemblies with silicone jacket and silicone overmolded strain reliefs are commonly used in surgical applications including arthroscopy, endoscopy, phacoemulsification and for powered surgical tools. 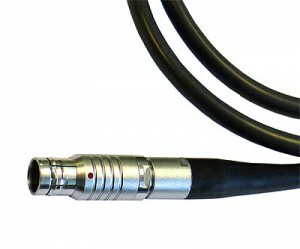 Overmolding connectors and strain reliefs with silicone provides both a mechanical and chemical bond to the cable jacket. This construction results in a cable assembly that may be cleaned, sterilized and re-used hundreds of times. In addition to a high-degree of sterilization withstand, silicone cable assemblies are typically very durable and extremely flexible, two important traits for this application. The materials and process used in the manufacture of MediSpec™ surgical cables meet both ISO and FDA biocompatibility requirements. The surface of silicone cables typically exhibits a “tacky” feel. When this is an undesirable characteristic, a conformal coating such as Parylene may be applied which acts as a dry-file lubricant. Coated cables also resist fluids used for cleaning and disinfection which may extend the service life of the cable. In addition to introducing MediSpec™ Silicone Surgical Cables from Affinity, the exhibit in booth 1746 will feature new and unique Temp-Flex®, Polymicro Technologies and FCT Electronics solutions from Molex. Molex Sales Engineers will be on hand throughout the show to answer questions and demonstrate products.